Combined heat and power (CHP), also known as cogeneration, is the concurrent production of electricity or mechanical power and useful thermal energy (for heating and/or cooling) from a single source of energy. CHP is a type of distributed generation, which, unlike central station generation (located in remote areas), is located at or near the point of consumption. Instead of purchasing electricity from a local utility and then burning fuel in a furnace or boiler to produce thermal energy, consumers use CHP to provide electricity and recycle waste heat from electricity generation for providing useful thermal energy. 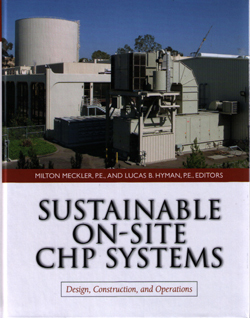 As a result, CHP improves energy efficiency and reduces greenhouse gas (GHG) emissions. 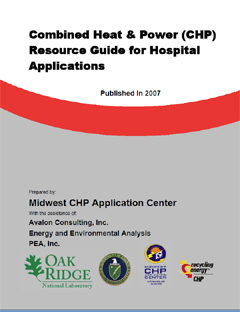 CHP is not a single technology but a suite of power generation technologies (engines, combustion turbines, microturbines, steam turbines, sterling engines and fuel cells) that can use a variety of fuels to generate electricity or mechanical power at the point of use, and allow utilization of the thermal energy from the power generation equipment, for providing heating and/or cooling needs of the facility by using a variety of heating and cooling equipment. 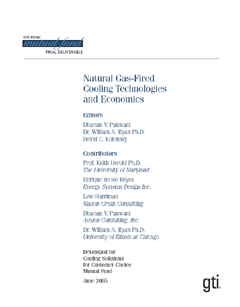 Which combination and capacities of power generation, heating and cooling technologies is optimum for a specific application depends on several factors including: the annual number of hours when there is simultaneous need for electricity and thermal energy, typical weather conditions of the facility location, real-time market cost of purchasing electric and gas energies. We provide consulting services to commercial, industrial and institutional facility owners, energy service companies, and design and engineering contractors. The scope of our services includes technical and economic analyses of alternative technologies, system optimization, developing bid specifications, evaluating bids, and technical support for detailed design, construction, commissioning and performance test evaluation. 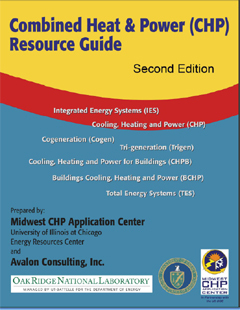 A complete list of the publications and presentations we have authored/co-authored on the subject of CHP systems is available. A copy of our brief brochure is available.